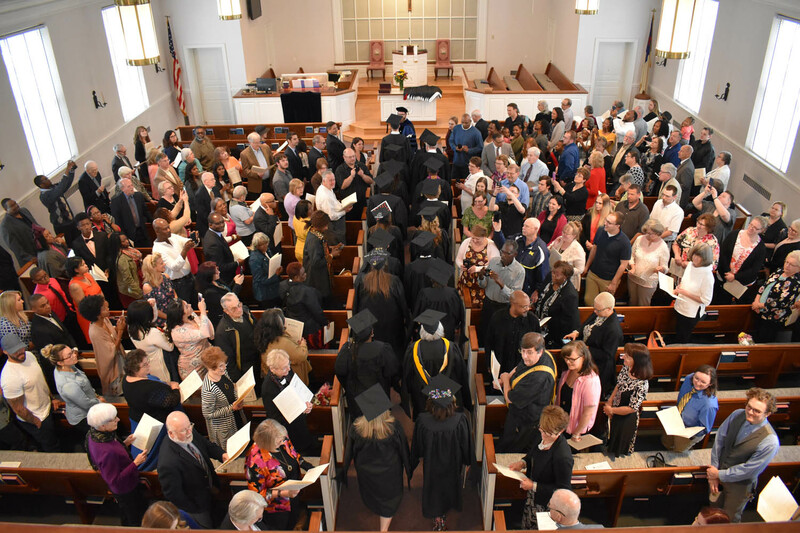 The 211th academic year of Moravian Theological Seminary came to a close when 27 graduates received degrees and certificates at its commencement service on Saturday, May 12, 2018, at College Hill Moravian Church. The church was filled with friends and family celebrating the accomplishments of the graduates. Among the 27 graduates were five Moravians who have found a variety of settings in which to continue their ministries. Dewey Mullis, a member of Friedland Moravian Church in Winston-Salem, N.C., graduated with a dual degree—a Master of Arts in Clinical Counseling from Moravian Seminary and a Master of Social Work from Marywood University. He will be working with individuals recently released from incarceration as a re-entry specialist at Pinebrook Family Answers in Allentown, Pa. At the commencement service, Dewey received the Henry Gerdsen Memorial Prize for intellectual, personal, and professional growth, as well as a commitment to involvement in the seminary community. A member of the Sturgeon Bay Moravian Church, James Heroux earned a Master of Divinity and received the John David Bishop Prize for superior record in scholarship, development of personality suited to ministry, and participation in seminary activities. James was installed on July 8th as pastor of Freedom Moravian Church in Appleton, Wis.
Andrew Craver, a member of Konnoak Hills Moravian Church in Winston-Salem, completed his Master of Divinity in December. 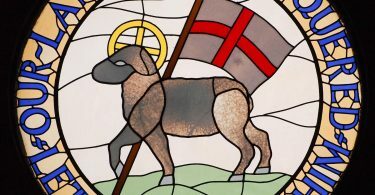 He received the Elmer Bender Memorial Award in recognition for qualities suited for ministry in the Moravian Church. Andrew accepted the call to serve as co-pastor of the Bethel Moravian Church in Bethel, Alaska. He was ordained on August 5th and will move to Bethel with his wife Jenna. Naomi Solomon, originally from Bethel Village, Tobago, completed a Master of Arts in Theological Studies. She will continue to serve as a pastoral assistant at the Vanderbilt Avenue Moravian Church on Staten Island, N.Y., as well as provide full-time care to a family in New Jersey. 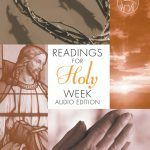 Recently retired from congregational ministry with the United Church of Canada, the Rev. Dr. Glen Stoudt completed the one-year intensive Spiritual Direction Certificate and looks to serve as a spiritual director in his ongoing ministry in Ottawa, Ontario, Canada. True to our ecumenical roots, students from other denominations received degrees from Moravian Seminary. Kim Adamson (Schuylkill Haven, Pa.) received a Master of Divinity and will complete ordination requirements as she looks to serve in the United Church of Christ. 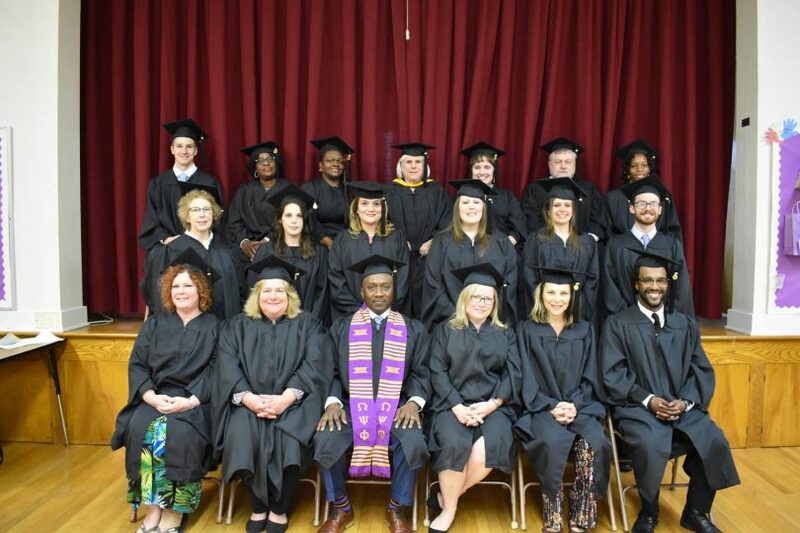 The first graduates from the Seminary’s newest degree, Master of Arts in Chaplaincy, received their degrees: Elrica Adams-Finney (Easton, Pa.) and Rebecca Stump (Hellertown, Pa.). 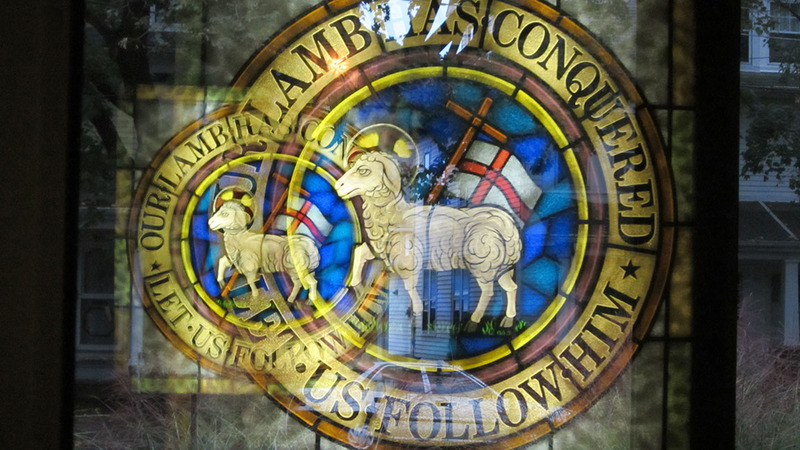 Six students received a Master of Arts in Theological Studies: Margaret Donohue (Bethlehem, Pa.), Micah Leonard (York, Pa.), Leonard Lightner (Hellertown, Pa.), Vanessa Romero (Breinigsville, Pa.), David Schappert (Wilkes-Barre, Pa.), and Mia White (Allentown, Pa.). Graduating with a Master of Arts in Clinical Counseling were Jessie Holden (Tawas City, Mich.), Elijah Irving (Plainfield, N.J.), Noelia Ortiz-Lightner (Hellertown, Pa.), and Jennifer Willever (Richlandtown, Pa.). The Formative Spirituality program offered a new, one-year intensive Spiritual Direction Certificate program for individuals already serving in counseling and ministry professions. The program was offered in a blended format so that students could enroll from any location, attend via video-conference and come to campus for several intensive retreats. Graduates from the program spanned the globe: Robert Janis-Dillon (Merseyside, England), Jeanine Jones (Asheville, N.C.), Lisa Persons (Decatur, Ga.), Pamela Robertson (Summit, N.J.), Heather Ruce (San Diego, Calif.), and Glen Stoudt (Ottowa, Canada). Recipients of the two-year Spiritual Direction Graduate Certificate were Kristy Christian-Petrow (Bethlehem, Pa.), Jennifer Denlinger (Bethlehem Township, Pa.), and Maryann Kearns (Bethlehem, Pa.). Sharon Frye (Weatherly, Pa.) received a Graduate Certificate in Formative Spirituality. The Rev. Dr. Jane Williams, Professor of Clinical Counseling, retired at the end of the academic year. She gave the commencement address and spoke of the importance of hope as we journey through the peaks and valleys of our lives. Jane will maintain a small private practice of counseling and spiritual direction and continue to lead workshops and retreats. We wish Jane well in her retirement and look forward to our graduates’ unfolding ministries. Jane Weber is director of administration for Moravian Theological Seminary in Bethlehem, Pa.